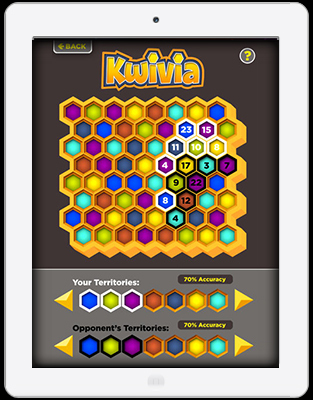 This was a design commission for logo and user interface for a trivia puzzle game. called Kwivia. This is a sample board of the game.